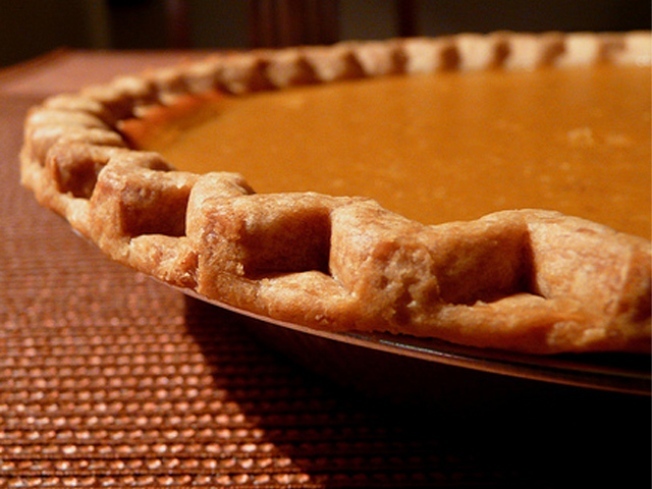 Fans of pumpkin pie may be in for a big disappointment at this year's Thanksgiving dinner. Nestle -- the company that sells about 90 percent of the canned pumpkin in this country -- had a bad harvest and won't be canning any more delicious pumpkin goo this year. Nearly all the pumpkins that wind up in Nestle cans are grown on a huge farm in Morton, Illinois. Heavy rains there made harvesting this year's crop nearly impossible, and the pumpkins rotted in the field. It seems that Illinois' cold, wet September is coming back to haunt our holiday tables. Nestle put a very public apology on its Web site, but said there's nothing it can do. "Mother nature had other plans for us," the company said. The purists out there can, of course, still use fresh pumpkin or search for another brand -- but you better hit the grocery soon. Don't be surprised if, the day before Thanksgiving, there's none to be had.